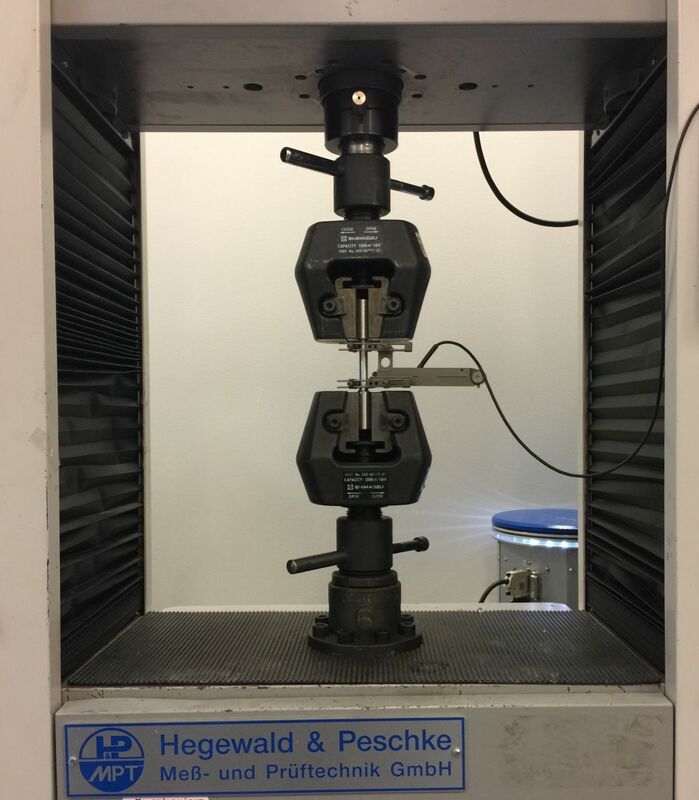 The universal testing machine is used to get information on a materials yield strength and tensile strenght, the modulus of elasticity as well as a materials strength in terms of bending and compression. That is done by testing like tensile testing, bending testing and comression testing. 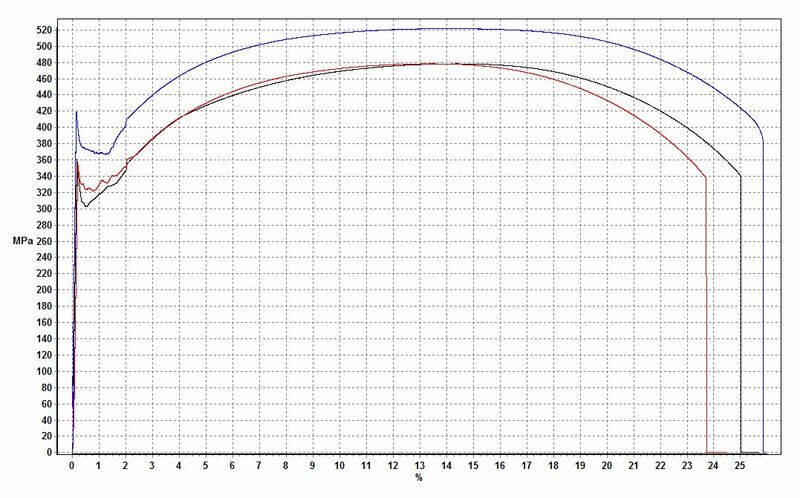 We have equipment to facilitate testing at elevated temperature up to 150 °C to study how material properties are effected by temperature. By designing and manufacturing fixtures and mounting adapters to fit a samples geometry and composition it is possible to perform testing on paper, plastics and other material sensitive to mounting with sharp angles. 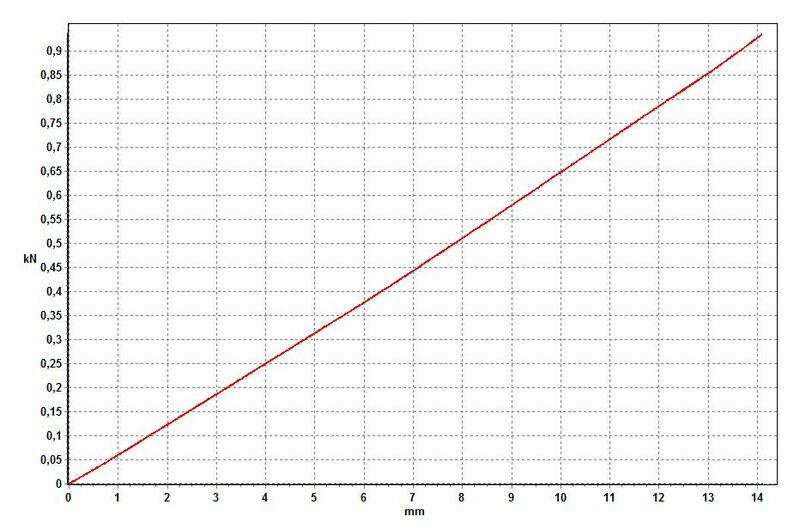 stress-strain curve from tensile test of cast iron.